I’ve come up with some information to help you become familiar with the different types of crown molding available to anyone who wishes to have this product installed into their home or business. I cannot say enough about how crown molding adds so much character, beauty, value and finishing touches to any home or business setting. It’s just another beautiful feature that tells a story and brings a room to life. MDF Crown Molding: short for (Medium Density Fiber Board) is basically, hard board fibers glued together by pressure and heat. 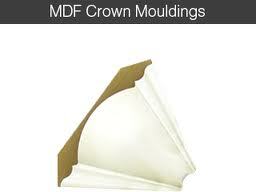 MDF is A popular product to use because it’s dense, is flat, is stiff, has does not have knots and is easily machined. Due to the fact that it’s made up of fine particles, it does not have an easily recognizable surface grain. This product is ideal for painting to produce smooth quality surface end results. Because MDF lacks grain this gives it an advantage to be cut, drilled, machined and filed without damaging the surface. MDF may be glued together with PVA Wood glue. Oil or water-based paints and varnishes may be used on MDF. 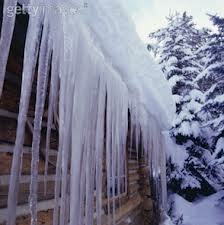 Natural Wood Crown Molding come in a wide variety of wood types. From Oak, Maple, Cherry, Pine and so on. Each variety is unique for its ability to bring out unique wood grains and natural colour. It can be clear-coated, stained, veneered, or painted, depending on the species. The problem with wood crown molding installation is that wood is often sensitive to shifts in temperature and humidity, which can cause it to expand, shrink, or crack. 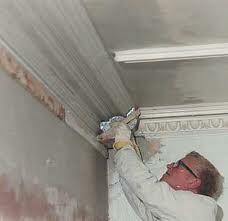 Plaster Crown Molding is custom-made, and therefore must be installed by a professional. 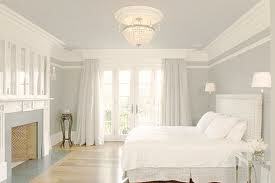 Used with plaster walls, plaster crown molding allows for the creation of unique, sculpted profiles. However, this all comes at a high cost, which is its major disadvantage. For those who can afford it, plaster molding is a beautiful and durable addition, since plaster holds its form regardless of changes in humidity and temperature. 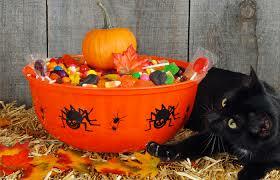 We want to know what your favorite childhood Halloween Candies were. Take the Poll! What is the best time of day to post on your blog? I’ve just completed a statistical analysis on when people comment on my blog. To be more exact, what times of day and which days of the week. Obviously there are many factors that can skew these types of studies, so take this as information only. As an owner and operator here at Don Of All Trades Professional Home Maintenance Services, I would like to share a short list of questions commonly asked by my clients as well as questions my clients should ask any contractors they choose to hire for their projects, whether its residential or commercial. When planning any project weather it may be as simple as painting a room to an entire remodelling project, I still find people don’t ask enough questions. Even with the HORROR STORIES you hear about on social media, television, radio and newspapers! From my professional experience the 3 most commonly asked questions are “How much is it going to cost?” “When can you start? and “When can you get it done by?”. I encourage my clients to ask me as many questions as they would like because yes Price, Timing and Finishing is just not enough to ask a contractor, handyman or renovator you may choose to hire for your project. In all seriousness, Timing may be “everything” if you’re a comedian, but in “real” world of renovations, this word does not always apply. Learn how to ask the right questions If you want to have a successful modeling project. How? Do research. You need to start asking the right questions. 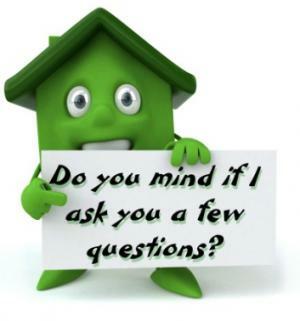 Here’s some of the most common concerns and questions asked by my clients. – When is my availability to start? -When will the project be finished? -What time of the day would I be at their residence or business every morning? -What time would I quit for the day? -Would I be coming to do the work everyday? -Can I finish before Christmas, Easter, Thanks Giving, etc. -How much do I charge per square foot? These questions will not tell you much about any contractor but while a reasonable timetable is important, this shouldn’t be the primary focus at an interview or a job and neither should the budget. If you find a contractor that is reputable and trustworthy, the budget and timing will work itself out in the end. I would recommend focusing more on finding someone whom you can trust and the quality of their work. Before you decide on hiring a company to do your project, make sure to do your homework. Ask the company about their business practices, and experiences in similar home projects as yours. Once you choose a contractor you feel comfortable and confident with, then you can discuss when they can start, what time they can know on your door each morning and what time they will leave so you can have your house to yourself again. -Who will be the project supervisor? -Who Will be working on my project? Are there subcontractors or employees? -Does your company have workman’s compensation and liability insurance? -How many projects such as mine have you done before? -Would I be able to get a list of references of those of whom you’ve done the similar job as mine ? -Can I get a copy of referrals? A Final Note. It’s not so important as the answers you get but to look more into the answers you don’t get. Asking the right questions isn’t always enough, pay attention your instinct and what information is missing BEFORE you hire. 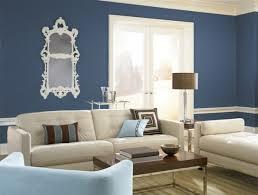 Do it yourself interior painting is by far the most affordable way to freshen up any room in your home. The advantage of painting is that it’s not terribly difficult and doesn’t require “military” training. All you need is a little patience, practice, and some helpful advice. These painting tips can help even first time Do It Your Selfer’s achieve professional results. Follow these tips and you’ll not only paint better, you’ll work faster and neater, too. It’s very important to take the time to properly prepare the walls and other surfaces BEFORE you start to paint. This means cleaning them with a solution of detergent and water, after which they should be rinsed and allowed to dry. If there are any cracks or holes in the walls, this is the time to repair them with spackle compound or a good-quality acrylic caulk. Spend the extra money on the best tools that will give you the results you want, the first time you paint. Using high quality brushes and rollers will help you apply the paint more evenly to get professional looking results, even if this is your first time painting. Be sure to use brushes and rollers with synthetic bristles and covers when applying latex paints. These brushes should maintain the proper stiffness and the rollers will maintain their shape even when exposed to a lot of water. I cannot stress enough to my clients about how important it is to purchase only top quality 100% acrylic latex interior paints. It’ll make every Do It Your Selfer’s job so much easier and give you the quality results you’re looking to achieve. Bottom line is, if you’re going to spend time and effort doing your own interior painting, you’ll want the job to last, and that’s where these paints really pay off. Top quality 100% acrylic latex paints are extremely durable, plus they resist fading, so your paint job will look great for years to come. Taking on the challenge of doing it yourself interior painting can be such a rewarding experience. You’ll not only save money, you’ll be amazed and satisfied of a job well done! Don Of All Trades asks: What is most Important to You as a Customer, when planning on hiring a contractor for your home improvement needs?